Guidance on new direction or confirmation of current course . . . Actively identifying opportunities for our Clients. 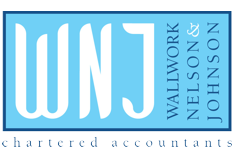 As a firm of Chartered Accountants, WNJ embraces its role as a key business advisory service for its Clients. Our role is not simply to ensure statutory and tax compliance. As such, we have a long proud history of identifying tax-saving and commercial opportunities for our Clients. WNJ’s success in advising its Clients from a tax and commercial perspective is driven by excellent Client relationships and a fundamental understanding of its Client base. Whether your business is large or small, our experienced team will advise you if you are considering either selling your business or buying another. Our tax specialists will also be involved in any business sale or purchase agreement to ensure that our Clients’ objectives are fulfilled and that the deal is structured to minimise tax liabilities. Whether your business is new, growing or mature, ensuring you have the necessary finance is essential for achieving your objectives. One of the most common causes of business failure is badly structured or inadequate financing. That’s where we can help you. Exploring the unknown can be dangerous but rewarding if you make the right decisions. Embarking in a new strategy is not for the faint hearted. Our business experts have experience derived from many Client scenarios and can use that skill to help you. You will undoubtedly require assistance from third parties as your business grows. Whether it be from banks, venture capital, stockbrokers or solicitors, our contact base will open the right doors for you by introducing you to leading experts. We will be on familiar territory (even if you are not) and we can provide the additional resources when required. Our expertise and contacts will help you open doors that may otherwise might have remained closed for you. If you are considering starting your own business, we will advise and assist you with the various issues that you will need to consider. WNJ is here to assist and guide you through the compliance issues associated with starting your own business so you are able to focus on developing and ensuring its continued success.